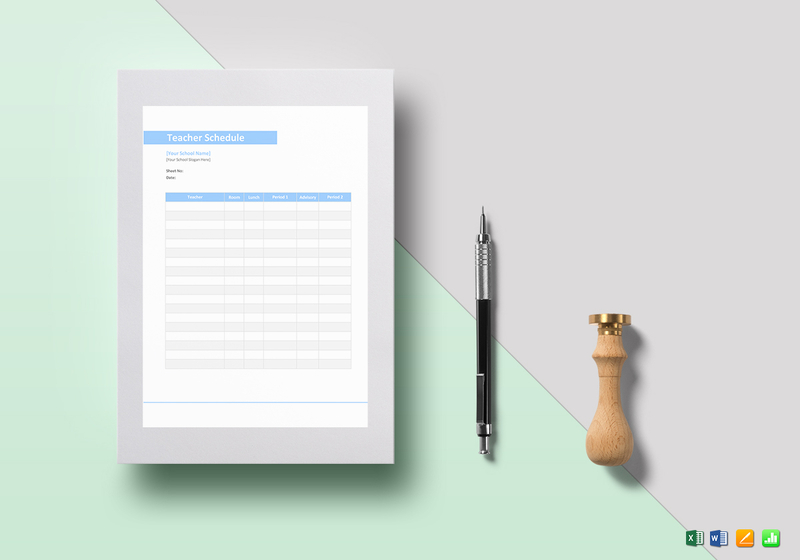 Simplify the task of conducting classes at school with this neatly designed template. 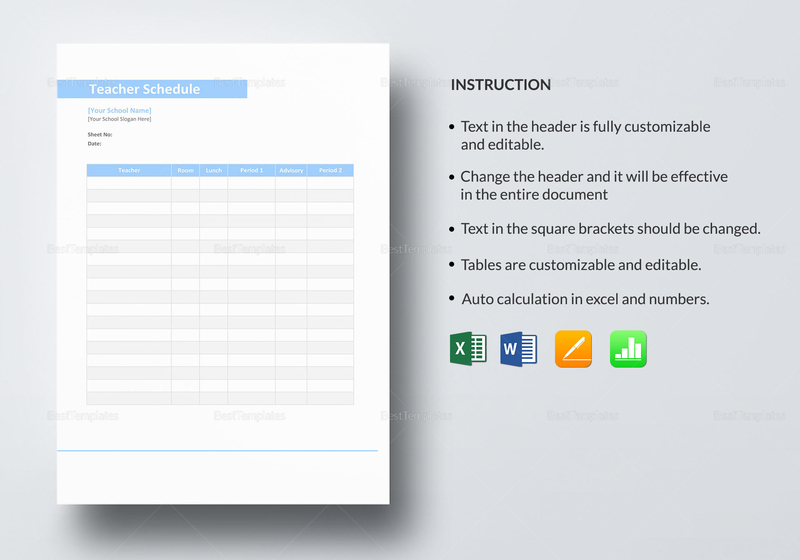 It helps you plan and keep a record of your everyday schedule template. 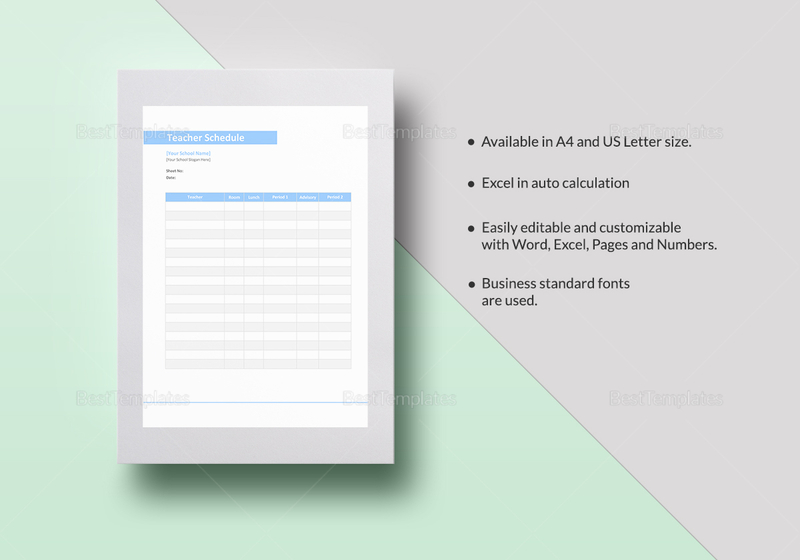 Preplanning benefits both teacher and student, hence this ready made, editable template is a great pick!